One of the most exciting things about MarketInvoice’s loanbook is the number of transactions that it has completed and the size of this number compared to the total transactions carried out. 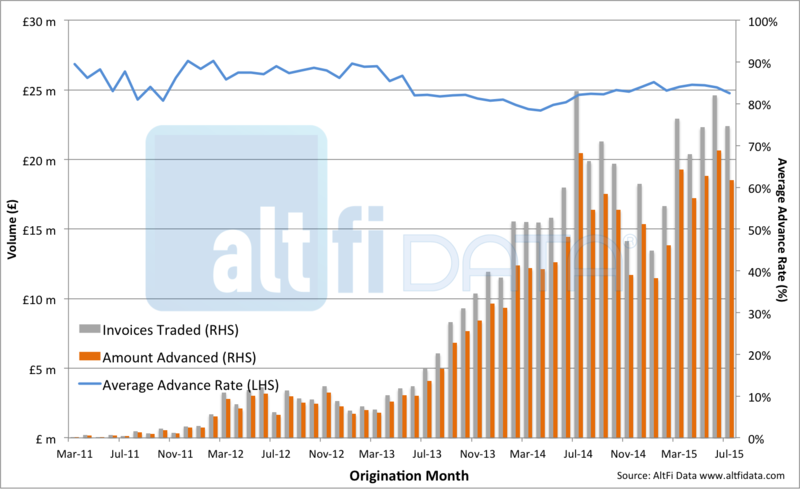 This is due to the average term of its invoice trades being just under 42 days (seeFigure 4. 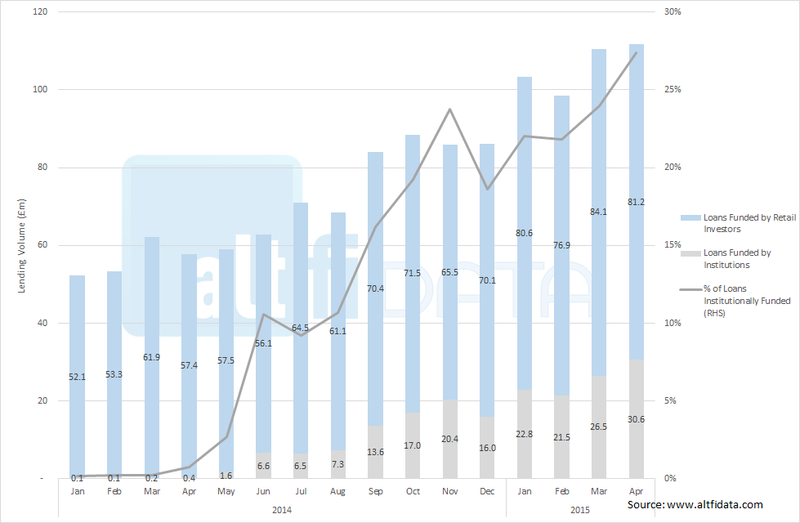 ), significantly shorter than non invoice finance lending platforms. 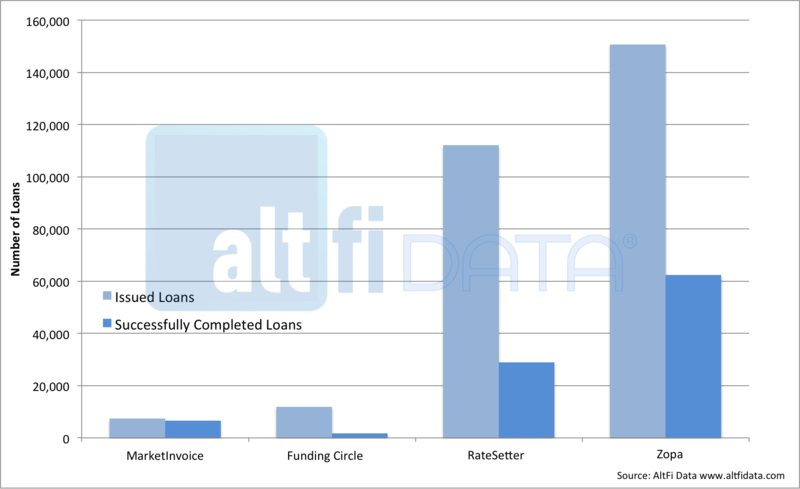 Figure 1. below shows the number of loans originated and completed successfully for the UK’s top four platforms. The above yield analysis is a somewhat qualitative analysis backed by numbers. 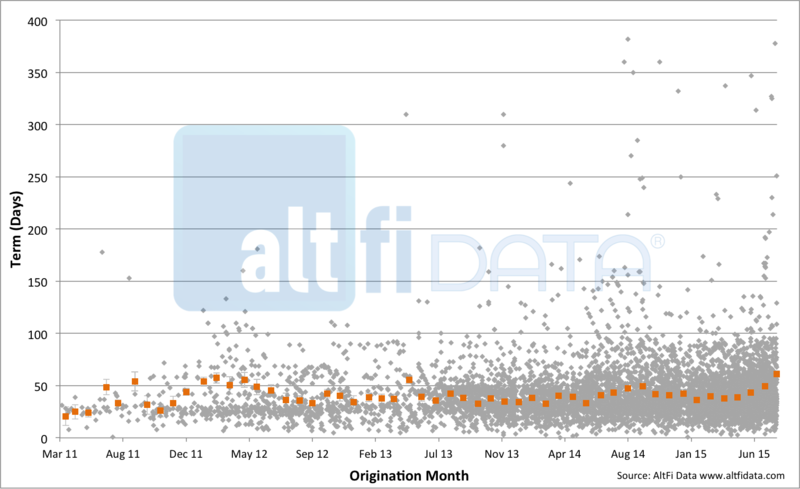 For a more thorough analysis, we are very pleased to say thatMarketInvoice’s introduction into the Liberum AltFi Returns Index is imminent. (9 June 2015 – Australia) Small business owner’s bank relationship is changing, with important implications for the Big Four, according to research conducted by East & Partners (E&P). The report finds that close to half of all Small to Medium-sized Enterprises (SMEs) primarily engage with their business bank for transaction banking needs across Cash Management, Cross Border Payments or Payment Processing products. Contrastingly in 2011, up to three quarters of all small businesses primarily considered their relationship with the bank to be lending based amid tighter credit conditions and shaky business confidence. The findings are included as part of E&P’s SME Transaction Banking program, presenting analytics based on interviews with 1,491 SMEs with turnover of A$1 – 20 million per year. Although the core transaction banking relationship is recognised as a key foundation for cross sell into associated treasury, business FX and risk management products, up to one in four SMEs intend to switch their primary transaction bank in the next six months. When surveyed by E&P in 2010, only 10.4 percent of SMEs planned to change their primary business bank. “Now entering the twentieth round, our research confirms that between eight to ten percent of small businesses with intent to switch will actually act upon it and respond to a competitor pitch, resulting in an annualised churn rate of fifteen percent" said E&P’s Head of Markets Analysis Martin Smith. Mind share continues to be a proven leading indicator of market share growth. Small business owners predominantly switch to a competitor that is ‘front of mind’ once they have decided to churn, however before they reach that point the biggest driver of ‘churn intent’ is a distinct lack of customer support. Although SMEs determine customer support to be an integral element of their relationship with their bank, an overall satisfaction rating of 2.17 is considerably lower than associated service factors (on a scale where 1 = satisfied and 5 = dissatisfied). BOQ stands out in the SME segment, achieving market share growth of 31.0 percent since 2013 based on significant mind share gains and a 3.5 percent advance in customer support satisfaction. “Delivering customer support that exceeds expectations is an inherently challenging prospect for commercial banks, but the research clearly shows that dissatisfaction with customer support firstly leads to lower wallet share, then greater intent to churn” said Smith. “The Big Four may currently represent over three quarters of all SME lending relationships, but the shift in precedence to transaction banking product demand favours non-bank alternatives offering streamlined multi-channel products, for example solutions directed at cash flow based lending as opposed to traditional secured lending products.” he said. East & Partners Small-to-Medium Enterprise (SME) Transaction Banking Markets program delivers quality market intelligence on the banking behaviour of businesses in the A$1 - 20 million annual turnover segment. The program comprises detailed trending analysis over twenty continuous rounds of reporting including account management, business development, service delivery and market strategy formulation. National Australia Bank (NAB) has vowed to fight to fend off peers that threaten its status as Australia’s biggest business bank but insiders say the battle lies internally. When new boss Andrew Thorburn announced another disappointing result for the last financial year on 30 October, he identified reviving business banking as a strategic priority. He knows as well as anyone that restoring business banking to its former might is critical to pulling itself up from the bottom of the banking ladder. Thorburn said the bank would add 100 frontline bankers to its team of 4,048, as well as extra mobile bankers and product sales specialists. This is part of NAB’s focus on areas it believes it has a competitive advantage. Along with home loans, these include lending to small and medium-sized businesses (SMEs) and specialist business lending, comprising agribusiness, health, government, education and community. In 2013 ANZ pledged to lend small businesses $1 billion over the course of that year. It followed up in March by pledging to lend a further $2 billion to new small businesses in 2014. Last Monday, NAB trumped this with the launch of its self-described “aggressive” new marketing campaign in which it committed to lend $1 billion every month to Australian businesses. Neil Slonim, a former NAB executive who now runs his own banking advisory and advocacy practice, pointed to some revealing statistics in the results presentation pack that raise questions about NAB’s ability to deliver on that pledge. Its market share with SMEs turning over less than $1 million per annum has fallen from around 25 per cent in September 2013 to around 20 per cent. Market share of SMEs with revenue between $1 million and $5 million has fallen from approximately 27 per cent to 23 per cent and the share of business with SMEs turning over between $5 million and $50 million has fallen from around 33 per cent to about 28 per cent. “That is 20 per cent market share losses in 12 months which is pretty significant,” said Slonim. Another slide showed that NAB’s customer satisfaction levels among businesses turning over between $1 million and $5 million has fallen significantly in the last six months and is the lowest of the big four. It also ranks last and second-last with businesses with annual revenue exceeding $50 million and between $5 million and $50 million, respectively. NAB’s net promoter score across nine of its key segments is -10, again putting it in third place. The deterioration in market share and satisfaction levels coincided with a 20 per cent drop in business bankers from around 5,076 in FY12 to 4,048. As a result of the job cuts and restructuring, 200,000 business customers have had their relationship managers changed, according to Slonim, which explains the exodus from NAB. “When you cut 20 per cent of your staff, lose 20 per cent of your customers and satisfaction is down you are doing something wrong and it can’t be blamed on competitors,” he said. In his opinion, NAB is paying the price for the heavy cost-cutting and under-investment in what was traditionally its engine room. The fact NAB is looking to recruit 100 new business bankers indicates it has cut too deeply. However, good business bankers aren’t easy to come by and it will take time to induct young and inexperienced bankers into NAB’s processes and culture. Feedback Slonim has received from SMEs indicates many are waiting weeks, sometimes months, to get an answer. That’s during a period of sluggish demand for credit. Certainly when Thorburn talked about the need to address customers’ pain points, he conceded business lending practices are “cumbersome”. Slonim said NAB’s lending practices and processes are going to have to be substantially improved if it is to execute on its $1 billion per month lending commitment. Looking at the webpages of the three largest members of the P2PFA, an interesting observation can be made. Only two of the three platforms, Zopa and RateSetter now call themsleves peer to peer lenders. The third, Funding Circle, has opted for the moniker 'marketplace lending' to describe what it does. Is this as a result of increasing institutional volume? Can platforms that facilitate large amounts of institutional volume continue to call themselves 'P2P'? Opinion is split as to whether the increasing volume of institutional lending through Alternative Finance platforms in the UK is a good or a bad thing. P2P purists are concerned that institutional lenders may crowd out the retail investor and reduce returns. Others argue that the inclusion of institutions is a necessary step in the continued evolution of the industry into a new asset class, rapidly enabling the industry to scale in a way that retail investment could not do alone and also bringing a greater level of professionalism and scrutiny. 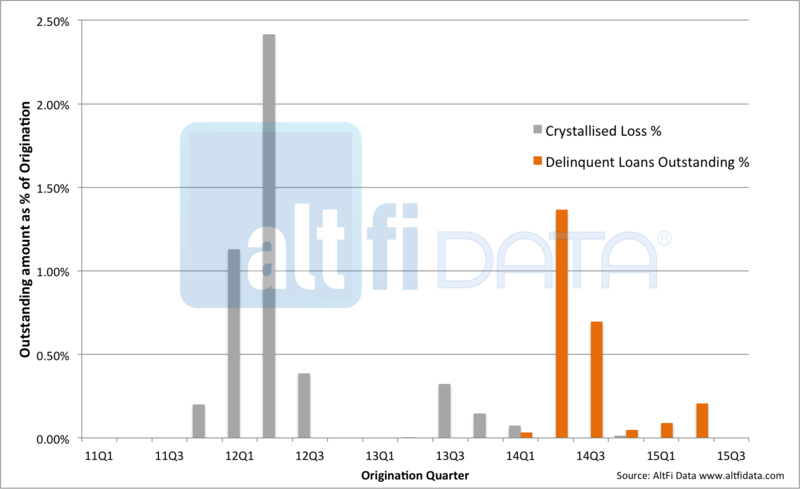 Chart 4: Monthly RateSetter loan origination with and without Contingency fund protection. We have seen that mounting institutional interest in the UK has been gradually translating into a greater proportion of monthly originations funded by institutional investors. The launch of several new funds and large institutional commitments in 2015 may mark the beginnings of a shift in the channels of institutional capital directed to marketplace lending platforms. 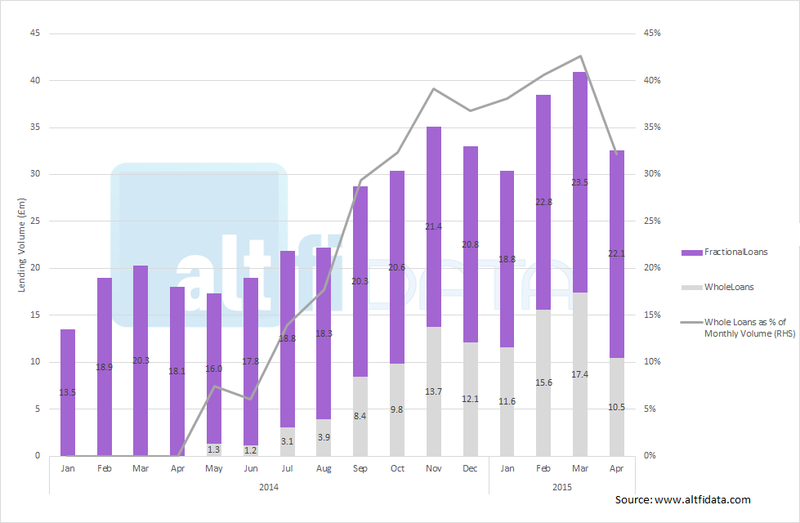 It is worth noting that for all three platforms, volumes from individual lenders continue to grow, albeit not as quickly as those from institutional lenders on Funding Circle and Zopa. 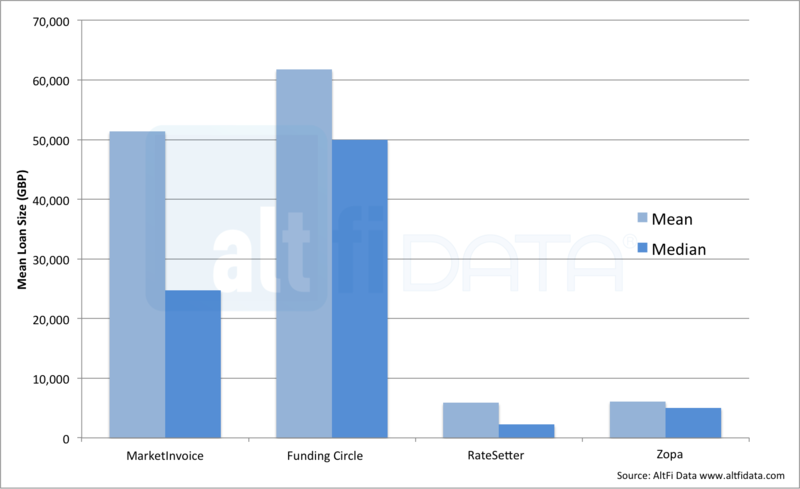 However there appears to be a difference of opinion between the UK's three leading platforms as to the best way to grow with Funding Circle and Zopa courting the institutional money and RateSetter seemingly concentrating its efforts on the retail investor’s money. We'll be interested to see how the picture develops over the coming months and, as ever, we'll keep our readers updated. 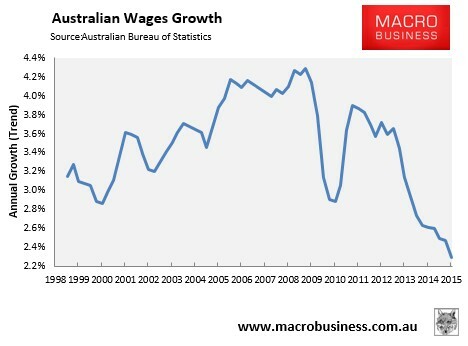 The unpleasant reality is that real wages will need to continue stagnating (or fall) for Australia to regain its competitiveness (although labour costs are by no means the only factor). Without such an adjustment, trade-exposed local firms could continue to shutter, slashing employment. 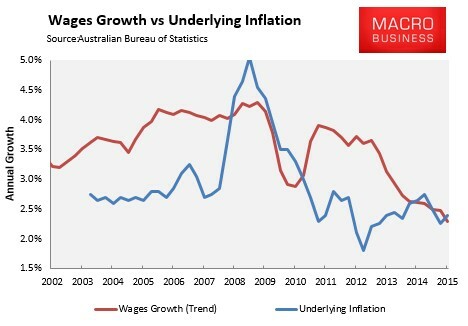 With commodity prices and the terms-of-trade likely to continue falling, and the epic unwind of mining investment and the shuttering of the local car industry still to come, the downward pressure on wages will very likely continue. Basel Committee on Banking Supervision is demanding a 300 per cent risk weight be applied to small business funding. Compared to residential mortgages that carry a weighting of less than 20 per cent, this would make it uneconomic for major banks in Australia to lend to small businesses. via Basel banking rules could lead to �2bn more SME funding. The Bank referral legislation, part of the Small Business Act, could see up to £2 billion more funding being provided to SMEs, according to figures produced by the Alternative Business Funding Portal (ABF). The ABF estimates state that, once implemented, the legislation would see more than 100,000 small businesses fast-tracked to alternative finance providers. This in turn could see up to £2 billion of funding enter the SME space within the first 12 months. ABF has also identified that recommendations from the Basel Committee on Banking Supervision, demanding a 300 per cent risk weight be applied to small business, could see the initial 100,000 small business funding referrals from the banks to the alternative funding sector increase dramatically in the future. Adam Tavener, chairman of pensionledfunding.com and catalyst for the ABF, urged the next government to back the body’s mission in light of the new legislation. “With a potential £2billion in alternative small business funding as a result of the banking referral regulation, it is vitally important that the party or coalition government elected in May drives the implementation phase through as quickly as possible,” he said. He went on to say that, even though the organisation is not in favour of the new Basel rules, they could work in favour of the alternative lenders. “If enforced, it will clearly increase the number of small businesses declined for finance by the banks and, as a result of the referral system, these will be re-directed to alternative funding providers,” he said. The ABF is a group that aims to bring together the market-leaders for all forms of alternative funding: including invoice trading, peer-to-peer and pension-led funding. Some 12 new funders are set to join the umbrella organisation. Among them are UK Bond Network, Funding Knight and Venture Founders. Paul Mildenstein, CEO of ABF portal funder Liberis, said the organisation’s impact on SME funding “should not be under-estimated”. “The ABF group has been a principal driver in shaking up the SME finance sector, providing a collaborative and accessible marketplace for borrowers and emerging lenders alike,” he added. Australian Banking + Finance Aussie businesses are borrowing more to take advantage of low interest rates. According to the Veda Quarterly Business Credit Demand Index, applications for business loans, trade credit and asset finance rose by 2.4 per cent in the March 2015 quarter. Most of that growth can be attributed to a big rise in business loan applications and asset finance applications which jumped 7.8 per cent and 2.2 per cent respectively. This is the first lift in finance applications since the June 2013 quarter. Veda’s general manager of commercial credit, Moses Samaha, said: “During the March quarter we saw signs of a pickup in business credit growth after a softer December quarter. Growth in business loan applications was the strongest it has been since the December 2013 quarter, and we saw positive asset finance application figures for the first time in seven quarters." The growth came from non-mining states, where business credit demand was up 3.4 per cent, offsetting the softer demand from the mining states of Western Australia, Queensland and the Northern Territory. The index reveals that the pace of growth in overall business credit applications accelerated in all states with the strongest growth in Victoria and New South Wales. In contrast, mining states showed weaker business credit demand with Queensland and Western Australia growing more moderately. Within business loans generally, growth was driven in large part by the increased growth rate of mortgage applications and credit cards. “Recently we’ve seen an upswing in business loan pledges by banks and other lenders. The increased competition in this space has created an attractive lending market for SMEs and contributed to the growth of business loan applications,” Samaha said. 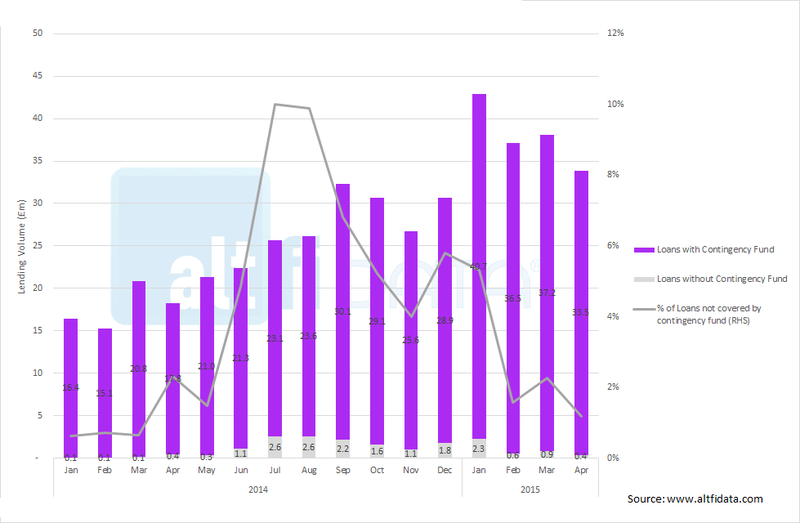 Asset finance applications picked up in the March quarter after experiencing sharp falls throughout much of 2014. Improvement was across the board: commercial rental, hire purchase, and personal loan categories. However, leasing applications dropped. “One year post the mining boom, it appears we may now be seeing what could be the new norm in growth rates for asset finance. 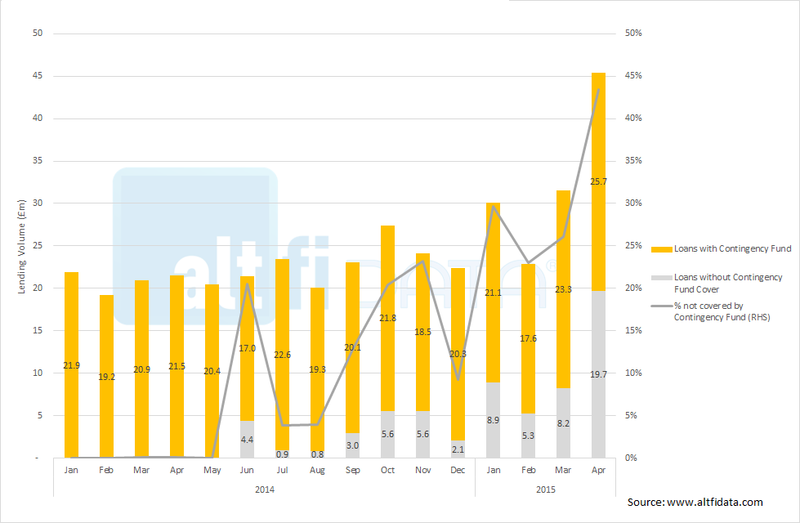 There also appears to be a small return to growth in auto finance and IT asset finance in the market,” Samaha said. Trade credit did not perform well. Applications fell by 2.6 per cent. Significant drops in trade credit applications were recorded across all states except for the ACT and Western Australia. “The fall in trade credit applications is in line with the long term trend of softening trade credit demand. Softer trade credit conditions could be an early sign of moderate business confidence amongst non-lending credit providers,” Samaha said. Today we continue our analysis of the SME sector, using data from our recently completed SME survey. Yesterday we showed that overall SME’s are still in the doldrums, but the construction sector is definitely on the rebound, showing stronger confidence, and demand for finance, This is a direct consequence of the low rate environment, and increasing demand for housing. The rebound is strongest in NSW and VIC, which aligns with recent strong property prices. As we reported previously,we need 900,000 more dwellings to be built over the next three years to meet current and anticipated demand. Construction sector SME’s have an critical role to play, as they either provide sub-contracting services to larger building companies or fund their own speculative developments. We start our discussion looking at the drivers of SME confidence. Compared with last year, concerns about political instability have diminished, whereas availability of credit now has more weight. If we look at the year on year changes in confidence, for the last two years, confidence does vary by industry. Specifically, we see a rise in confidence in the property and business services sector, and construction. In comparison, manufacturing confidence has dropped, as has confidence in the mining sector. Next looking at what is driving funding needs, we find that the biggest, and growing need is for working capital. We find that this need is driven by cash flow issues. 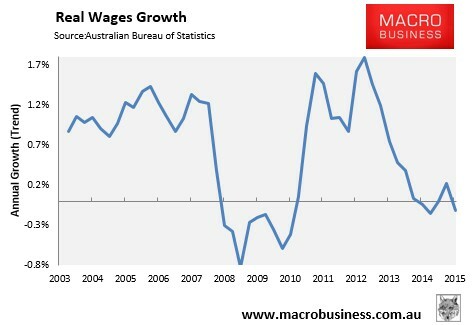 Cash flow is being hit by long payment cycles, the need to pay taxes and GST, to pay wages and to buy materials. Business expansion was not identified by many SME’s as a reason to borrow more. This indicates that businesses are still operating in survival mode. Looking specifically at debtor days we see a slight improvement this year, with the debts outstanding over 50 days falling for the first time in a couple of years. Now we turn to the LVR (Loan to Value Ratio) for specific industries. The most significant observation is that SME’s in the construction sector have increased their borrowing, relative to their assets. This is a sign of increased momentum in the sector. Construction tends to have a higher LVR because of nature of their business, but we see a significant trend change this past year. This data relates only to those SME’s who borrow, not all do so. Then if we look at losses, we see the banks are still experiencing elevated levels of loss, compared with the pre-GFC environment from the SME sector. 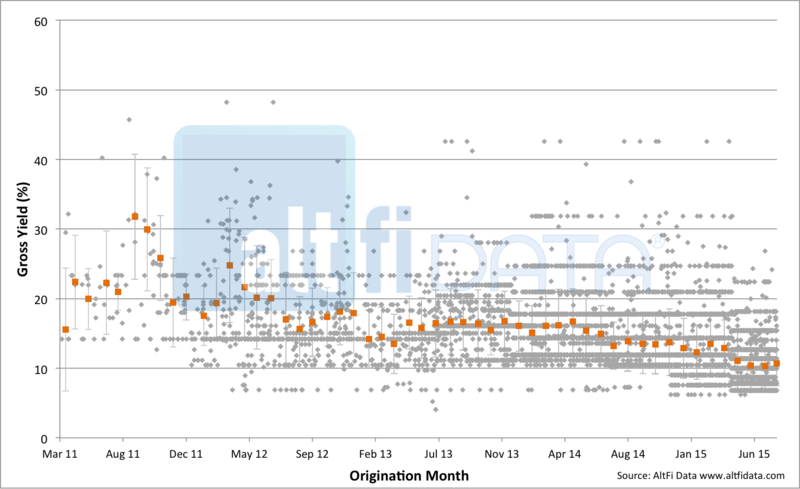 There are some state variations, and we saw some divergence in 2011-2012. The latest data from our models indicates an adjustment towards more consistent state norms. These higher loss rates explain partly why the capital allocation and loan pricing for SME’s is higher than other classes of lending. We have highlighted the problem with these differences. Finally, if we look at losses in the construction sector, they are still above the SME average, but are trending down, other than in WA which have been consistently lower than other states, but is now trending up now. So putting all this together, the frail SME sector is patchy. Construction is waking up, with increased demand for finance, and bank losses falling. On the other hand, the resource sector is slipping off its highs. Other sectors, including retail and manufacturing are still languishing. The RBA’s wish to effect a transition from the resource sector to the construction sector is registering in the survey. Confidence in the construction sector is stronger, and momentum is picking up. The recovery is strongest in NSW and VIC, and slowing in WA. Fewer than 10% of all SME’s are linked with the construction sector, so others are not fairing as well, and continue to grind out a hand-to-mouth existence. We cannot put all our eggs in the construction basket! 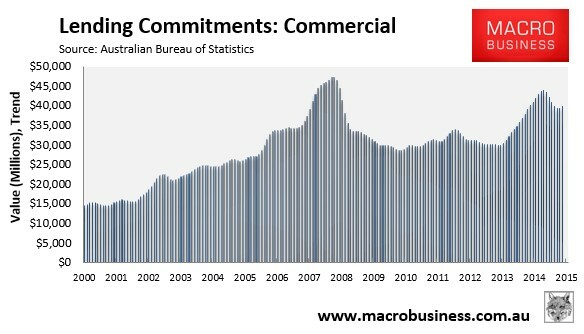 It’s important to note that around one quarter of commercial loans are lending for property investment, which are growing fast (see my earlier post). This suggests that loans to other commercial enterprises – the productive economy – have fallen fairly sharply. Most of the other components of lending have also been weakening. Housing renovation activity has fallen for four consecutive months and is down 6.3% since June.